Looks like I’ve been in “revisiting old posts” mode lately… Trust me, it’s not a bad thing; not a bad thing at all! In fact, I’m bringing a bunch of truly worthy recipes back to the top of the pile! 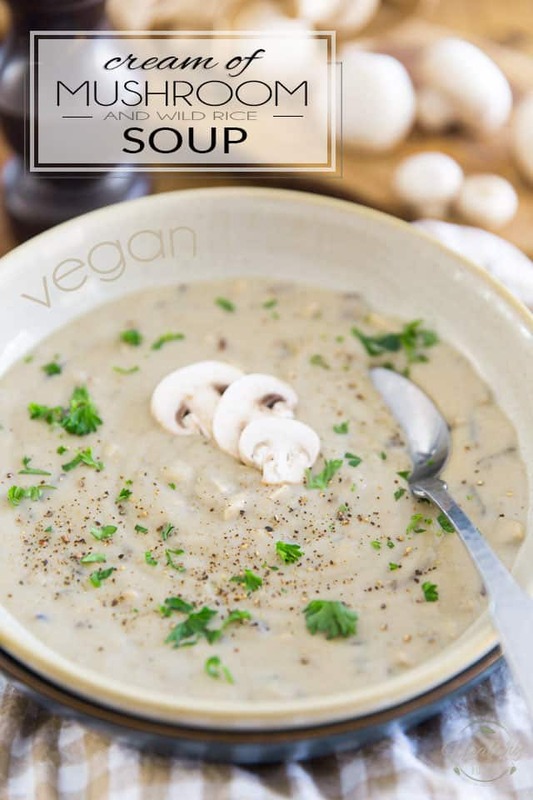 This beautiful cream of mushroom soup, for instance… I’d created it a while back after I’d gotten inspired by one of my favorite fellow bloggers of the time, and to this day, I remember having fallen head over heels for it at first bite! So I retested the recipe exactly as written — save for a minor change that I had to do to accommodate my new dietary reality — and frankly, I fell in love all over again. This soup, it tastes absolutely fantastic! It’s delicate, simple and earthy, just like any mushroom soup should be… but it tastes really, really good! And it’s crazy creamy, silky, and thick. So thick! Plus, it’s loaded with all kinds of pieces of creamy mushrooms and nutty, chewy wild rice. So good! The post Cream of Mushroom and Wild Rice Soup appeared first on The Healthy Foodie. I find it a bit ironic that I should be kicking off the new year with such a bold, beefy and meaty recipe, seeing as how I just recently decided that I wanted to transition towards a more plant-based diet. Or well, to at least give it a decent shot over the next couple of months and see where it takes me. In case you’re not familiar, here in Quebec, poutine is a true staple, a popular and well loved comfort food. Sadly, though, in its original version, it’s not the healthiest! Traditionally made with French fries, which then get topped with oodles of cheese curds and drenched in rivers of gravy, it’s not exactly what you could call the epitome of health foods… But that doesn’t mean that it can’t be improved upon! This hearty version, made with oven roasted potatoes — as opposed to deep fried — and topped with chunks of slowly braised beef, sauteed mushrooms and caramelized onions, totally qualifies as a complete, wholesome meal! 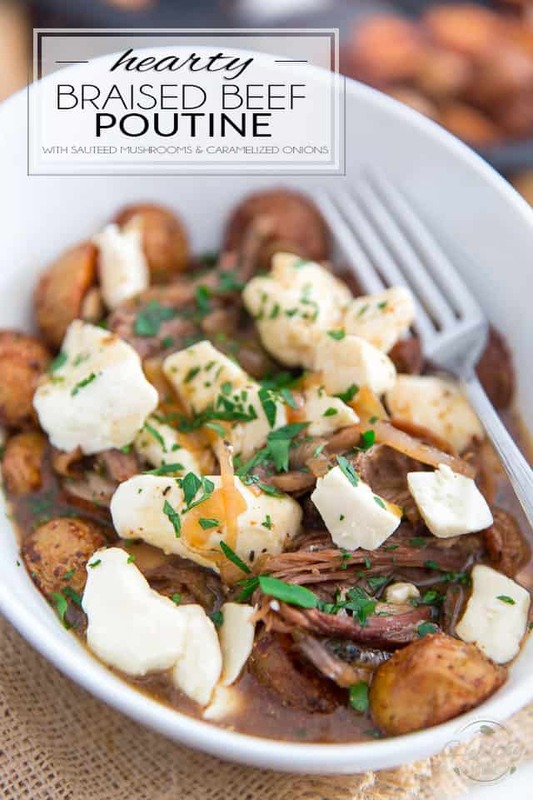 The post Hearty Braised Beef Poutine with sauteed mushrooms and caramelized onions appeared first on The Healthy Foodie. Delicious warm or cold, this Broccoli and Mushroom Quinoa makes for a delicious accompaniment to just about any meal… or, add a little bit of protein to instantly turn it into a complete meal! 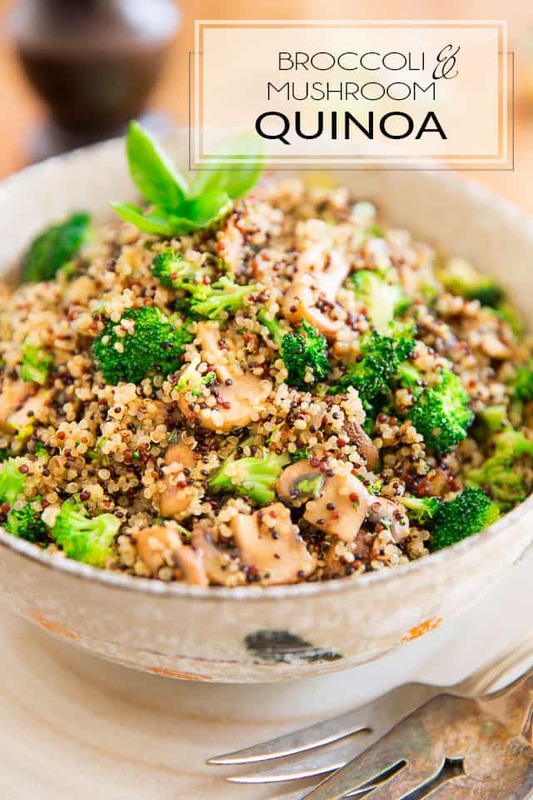 Here’s a quick and easy quinoa recipe that the whole family will love and that I think you’ll want to add to your regular menu rotation! Cuz not only is it super easy to make, it also happens to be crazy tasty, highly nutritious, and extremely versatile, too! Indeed, you could very well choose to eat it as a side dish — it’ll go good with just about anything — or add some kind of protein to it and enjoy it as a complete meal! — or chilled, right out of the ice box. Very convenient if you need to grab lunch quickly on your way to the office! How’s that, for options, eh? Can you say versatile? The post Broccoli and Mushroom Quinoa appeared first on The Healthy Foodie. Need a change from plain white rice? 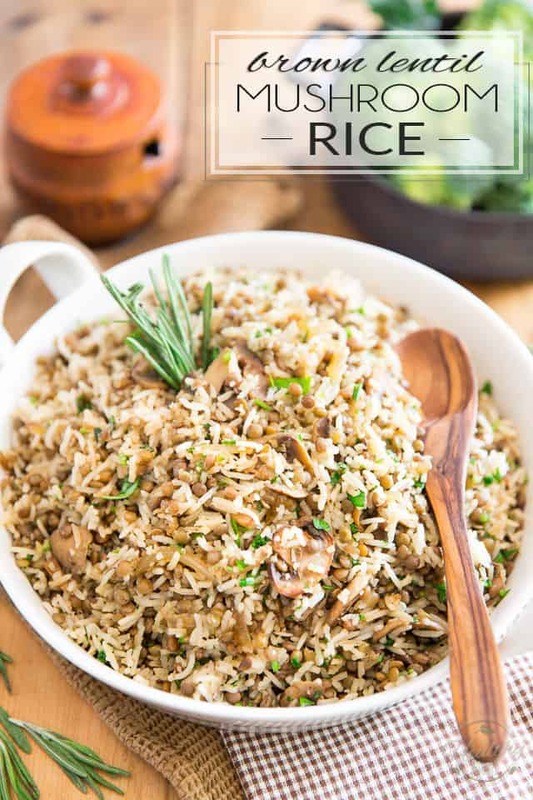 This Brown Lentil and Mushroom Rice makes for a very tasty side dish but would also be perfect as a light vegetarian meal! Even better yet, this Brown Lentil and Mushroom rice could even be served as a light vegetarian meal, if you felt like it! Just maybe serve it with a little bit of steamed broccoli or sauteed sugar snap peas on the side and you’d be all set! Or, if brown lentils weren’t really your thing and you were more in the mood for meat, you could even turn it into a complete carnivore meal by substituting cooked ground meat for the brown lentils! Frankly, this is the kind of dish that you can have tons of fun playing with and that you’ll always be happy to whip up whenever you’re feeling a little low on inspiration! The post Brown Lentil and Mushroom Rice appeared first on The Healthy Foodie.